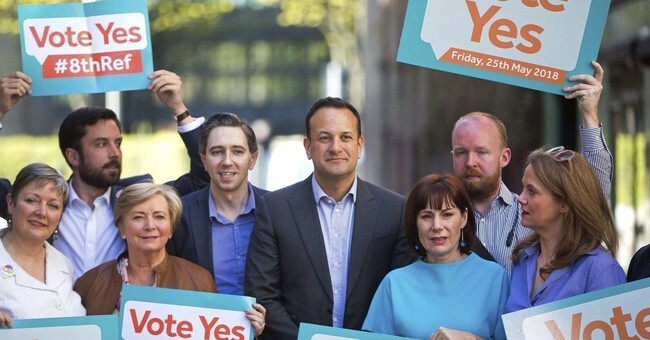 Ireland’s Health Minister Simon Harris revealed this week that just months after voters repealed the country’s abortion ban, the government will be offering cost-free abortions to women. Irish President Michael D. Higgins signed the abortion referendum bill repealing the decades-old ban on Tuesday. Harris explained the reasoning behind providing free abortions, the Irish Examiner reported, at the opening of a new primary care center in Dublin. "I've said from the start that I don't want cost to be a barrier, because if cost is a barrier you get into a situation where one of two things happen, you get abortion clinics to develop or you can see people having to continue to travel,” he argued. "I want this [abortion services] to be provided as part of our healthcare system, our public healthcare system and part of our primary healthcare system,” he added. The law could be submitted to the legislature as early as next month and could potentially be enacted by January 2019. Dr. Ruth Cullen with Ireland’s Pro Life Campaign told the Examiner that the recent hearings on crafting the new abortion law served as a “rude awakening” for pro-lifers on its extreme nature. “Today’s committee hearings brought into sharp focus the extreme nature of the abortion law about to be introduced. It’s a definite rude awakening for anyone who thought the law would be somewhat restrictive,” she said. “It is clear Health Minister Simon Harris and others in government have no interest in hearing perspectives other than ones that zealously back abortion,” she added. “It is going to take time but the public will realise the full extent of the charade that is going on when the reality of what the abortion law permits starts to sink in."